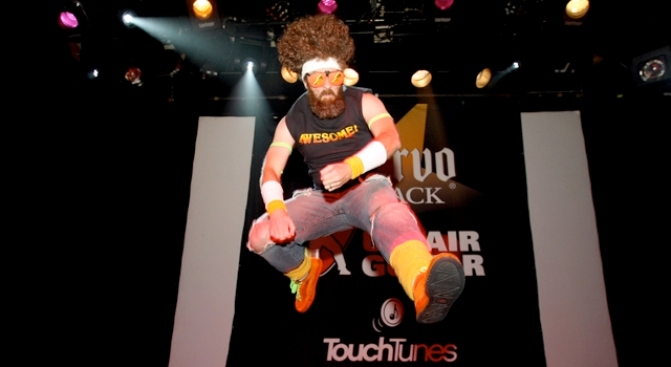 Want to take your air guitar skills to a real stage? Now you can at the 9:30 Club. The D.C. Regional Air Guitar Championships is being held in April. You can take part by sending in your own video audition on YouTube. If you want to be a contestant make, sure your audition is creative and/or funny, but clean. It also has to be under one minute. Videos will be submitted and judged from March 22 to March 30. The winner will be announce March 31 and will nab a spot on the 9:30 Club stage April 10. All you have to do is send aYouTube link to list_serve@930.com with your video. So get strumming/miming!